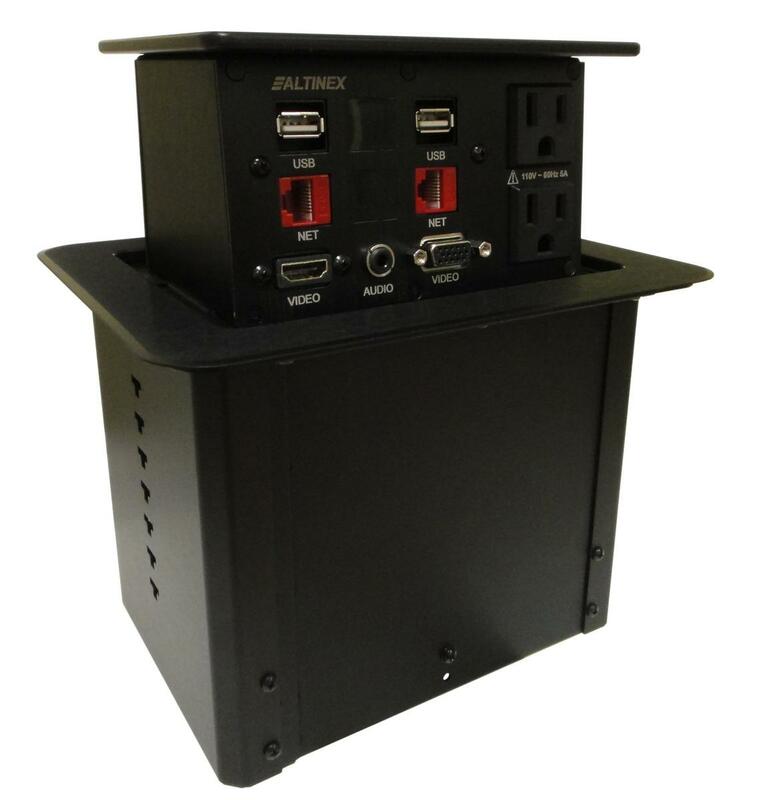 The Altinex PNP408 is a dual sided pop up table box, it pops up from your table providing access to connectors and power. 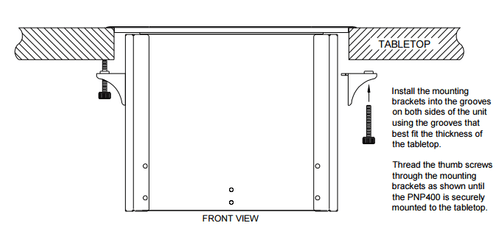 When pressed back down it is concealed flush with the tabletop surface. 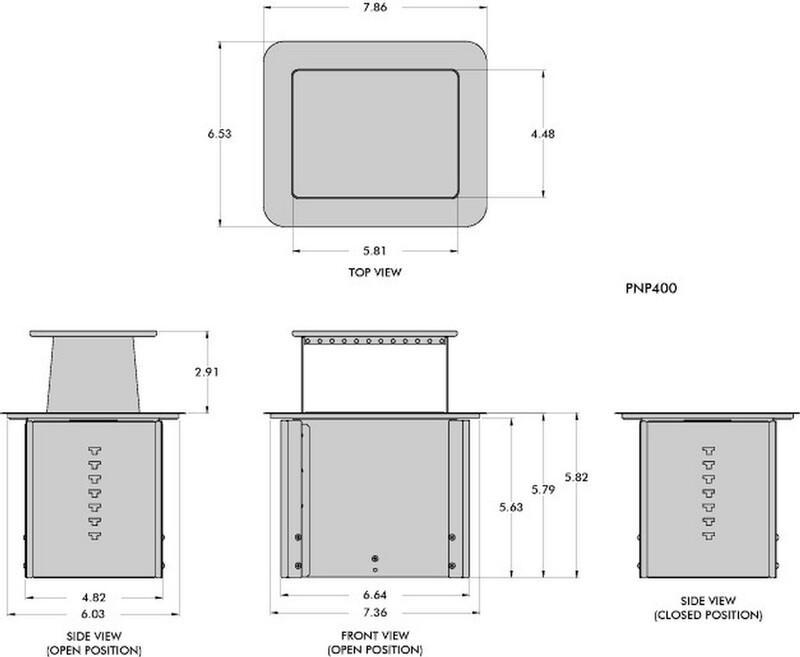 The unit is dual sided so both sides of the table will always have access to their table box connections. Choose from black anodized aluminum or silver anodized aluminum, both come in a brushed finish. 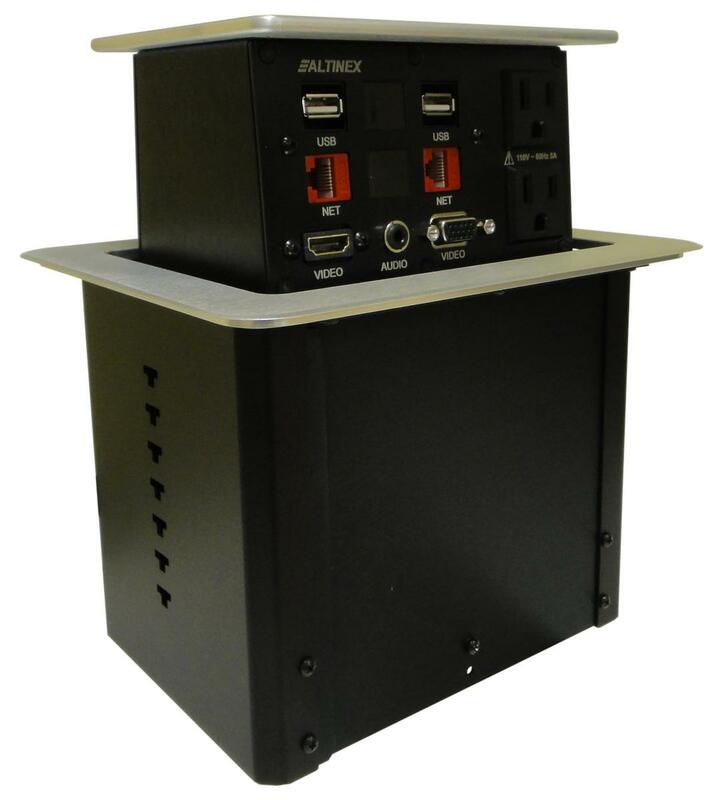 The PNP408 is completely assembled at the factory with the following on each side: 2 power, 2 USB, 2 Cat6, 1 HDMI, 1 VGA, 1 audio. There are 2 additional keystone blanks that can be used to add more connections now or in the future. 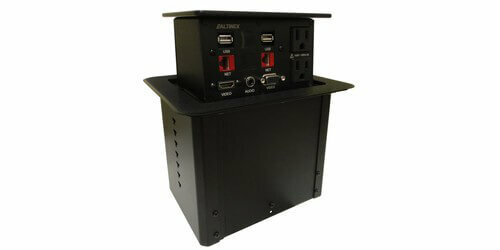 The Altinex PNP408 gives you the most options for your pop up, with the most desired connections. If needed click the customize this button to choose connections that best fit your needs. Connections: (Each side) 2 power, 2 USB, 2 Cat6, 1 HDMI, 1 VGA, 1 audio. There are 2 additional keystone blanks that can be used to add more connections now or in the future. 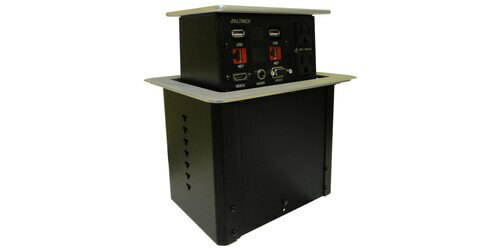 Table thickness: .25" to 4"
Connections on this unit can be customized. 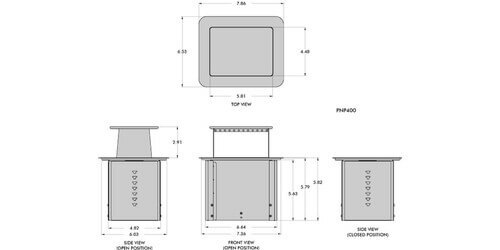 Our factory trained technicians build the unit to your exact requirements and ship it out assembled and ready to install. Customization and testing typically takes 2-3 days before shipping. Dual sided connections make it easy to connect.